One of my very favorite October traditions is watching It’s The Great Pumpkin, Charlie Brown on tv. It’s pretty much considered vintage tv viewing at this point, but like all classics, it’s timeless and so relatable. 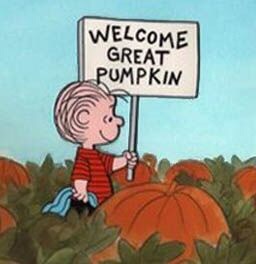 The great thing about this particular Peanuts cartoon is the introduction of the Great Pumpkin as the figurehead of Halloween! After-all, Santa has Christmas, and the Easter Bunny has Easter. 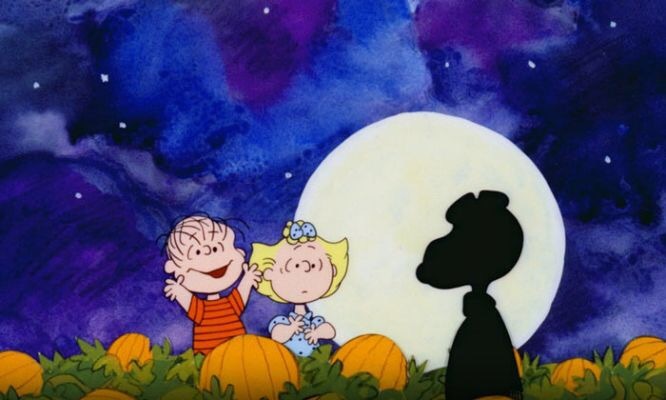 Charles Schultz in a genius move simply gave Halloween its own holiday character—even if Linus van Pelt is the only believer. 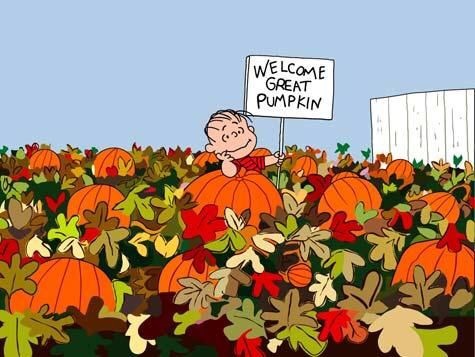 Year after year, faithful Linus sits in the pumpkin patch on Halloween night, missing out on trick or treats waiting for the Great Pumpkin to appear. Sadly, he never does. 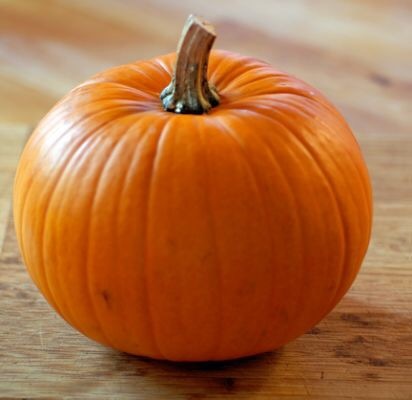 Discouraged but undaunted, Linus vows to wait again next year, certain that the Great Pumpkin will eventually make an appearance if he is steadfast. Depending upon your viewpoint, Linus can seem like either a foolish optimist, or tenacious in his ability to not only believe…but also encourage others to join him in the pumpkin patch. At the end of the day he stands alone. In his solitude, Linus knows he’s not the norm—but he’s okay with that. He follows his heart every time, not the crowd. 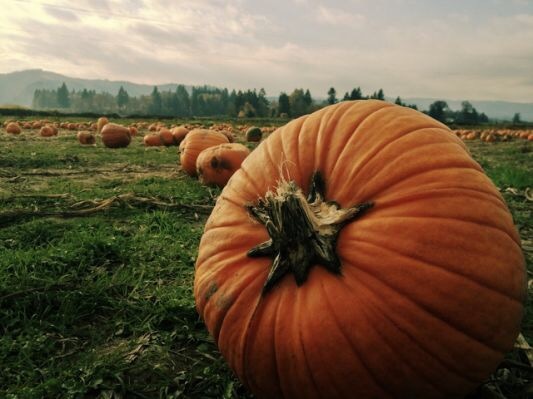 This story has a happily-ever-after because some good has come out of that pumpkin patch. Linus has turned me (and I’m pretty sure there are others) into a stone-cold believer. 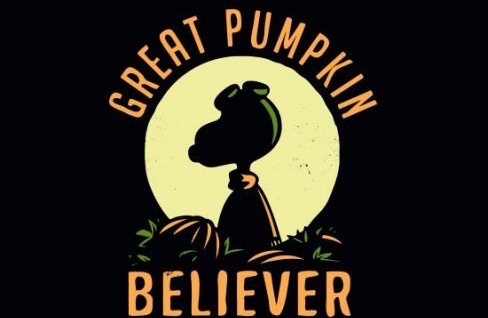 No doubt one of these days the Great Pumpkin will make an appearance, and Linus will be vindicated. I’d like to think I’m the kind of person who would join him in that pumpkin patch and keep watchful vigil. Unless it meant missing out on treats of course. 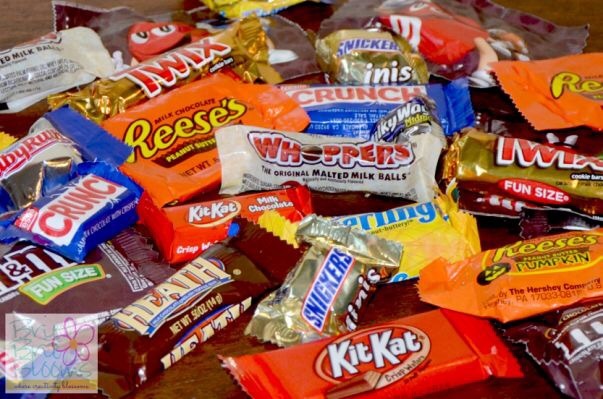 Realistically, I’m the kind of person who confiscates all the good chocolate. Belief is one thing, treats are another. Giant benevolent jack o’ lantern? Schmak o’ lantern! 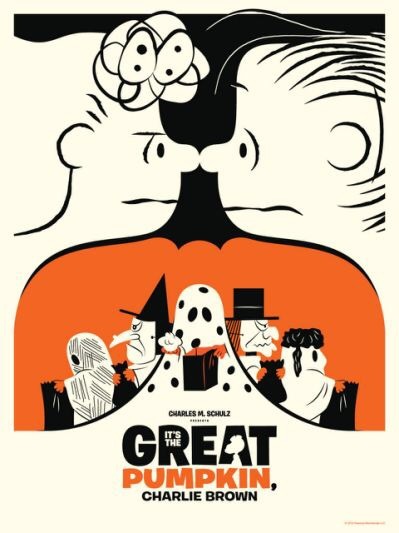 Just goes to show, even after all these years… when it comes to the Great Pumpkin? Reblogged this on Lemonade Pink.